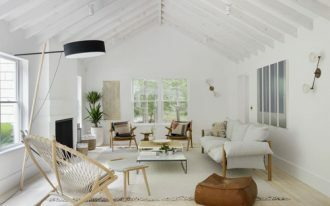 Boho home design takes the inspiration from the care-free world of free travelers. Overall, the design looks casual and exposes more on eclectic vibes of unique tressures, mixture of new and old style, making this vividly interested. 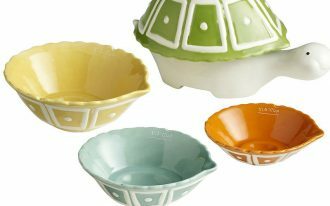 Energetic, fun, and bold color schemes are becoming next character of Bohemian design that commonly applied for interior/ exterior pieces and ornaments. 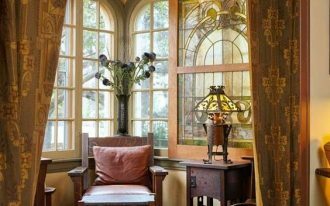 Furthermore, Boho style considers the vintage and layered fabrics as we usually find in throw blankets, mats. rugs, upholsteries, and even the fabric ornaments. To get natural and fresh look, most Boho-themed spaces are garnished with some potted plants or greenery that visually can make the space more relaxing. 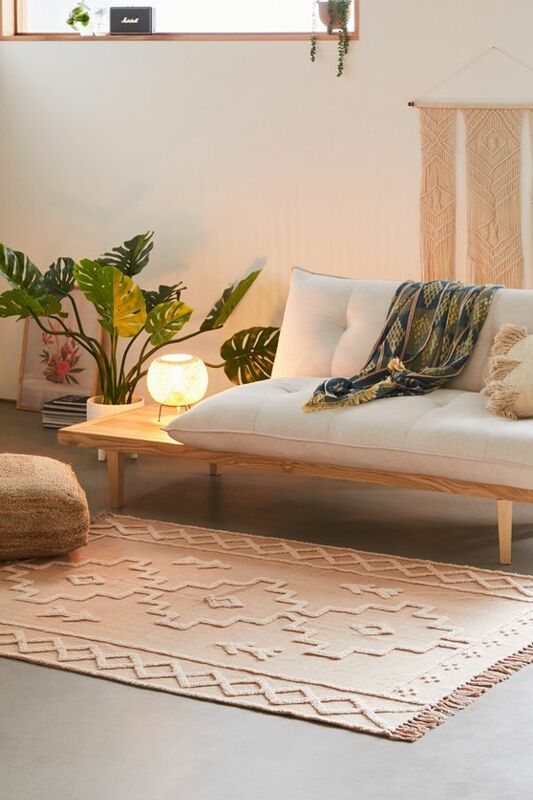 Complete your space with whismy Boho furniture and accessories we recommend to you. Here, we try to share the best furniture and accessory choices you can take for your home. 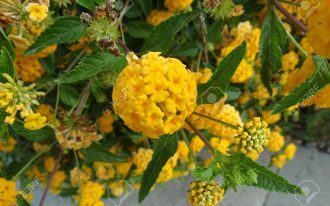 Let’s start picking them now and happy re-decorating for you guys. You may call this semi tropical-Boho design. The space is designed in light and airy look – truly representing a tropical-style bedroom. 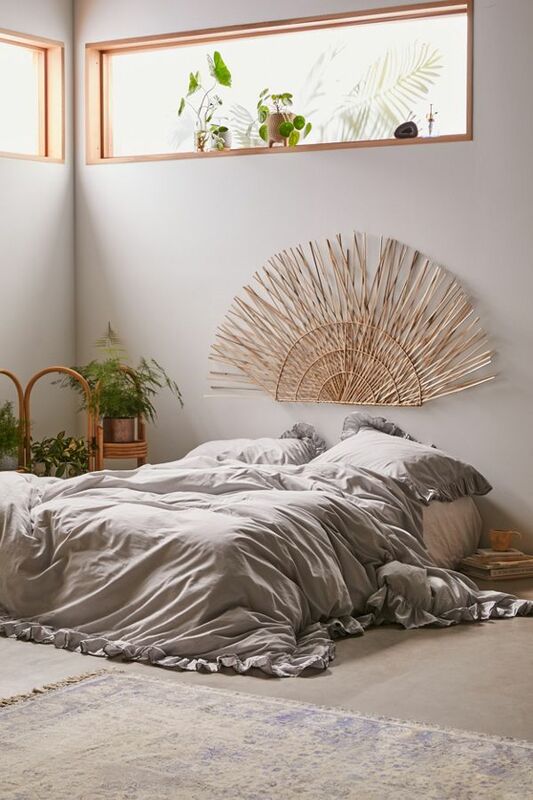 A bamboo headboard is added for fun bed accessory, showcasing a simple wall decor in space. The headboard poses as a Boho accent to make you focuses on it (called a focal point). 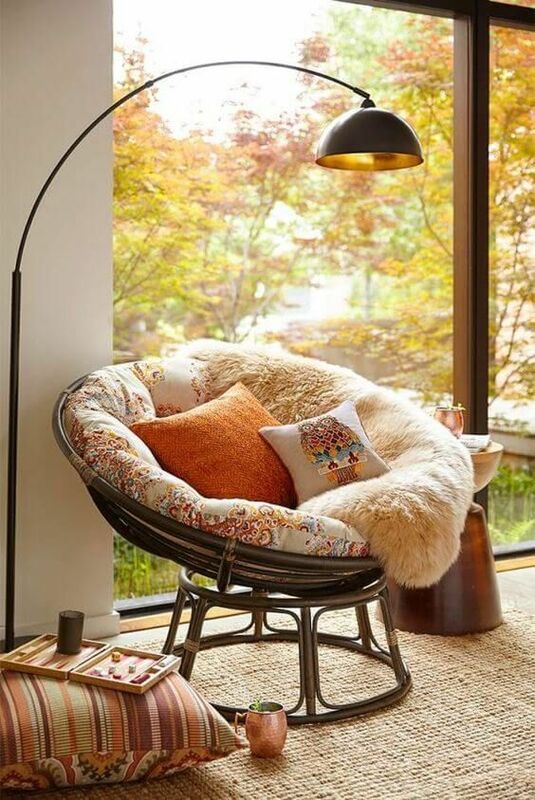 Create your own space based on your favorite decor idea like this Boho reading nook. 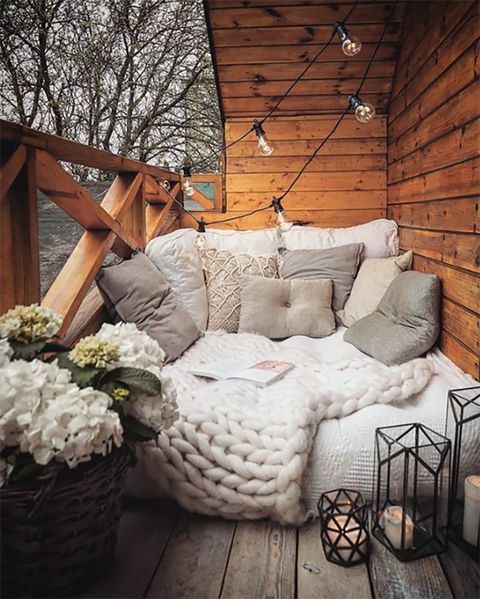 The seat always offers you the coziest spot to snuggle or to curl in deeper, providing you the right spot during reading the favorite books in hours. The cozy makers consist of fluffy foam upholstery coated with bold ethnic fabrics. A throw fur blanket also complements this seat zone, making the spot warmer. 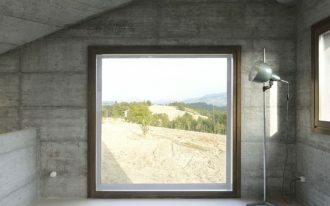 The floor lamp, in addition, is more than enough since it gives you both function and style at once. 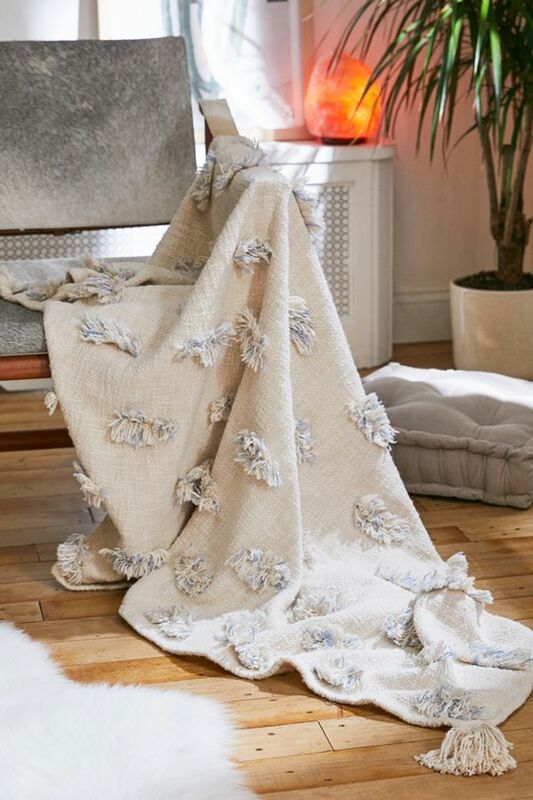 Tufted throw blanket, a perfect alternative for Boho treatment. You’ll feel ultra-soft and cozy fabric made from the best cotton. As the accent, the tufted tassel trims in each corner absolutely add beauty. 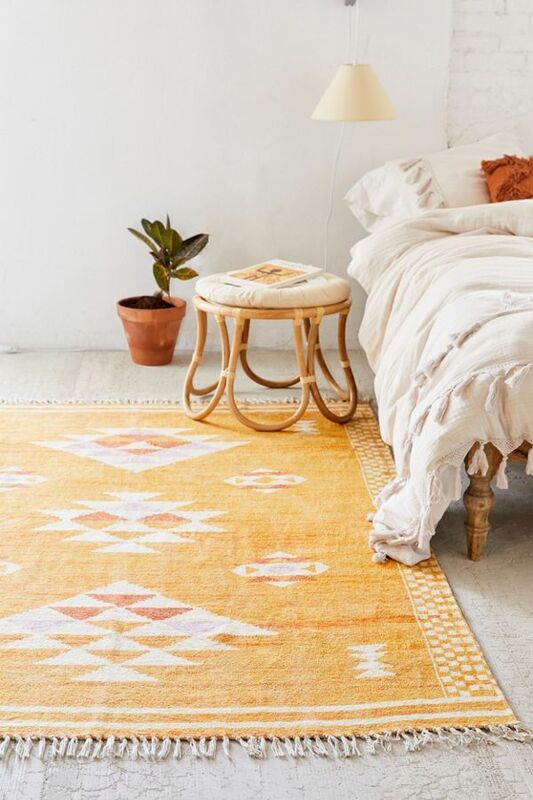 Add a Boho accent simply with this duvet. This piece of duvet has unique shape: the crocheted trims plus the tassels along the base-edge of duvet. All surfaces are made of soft cotton and supported with crincle gauze for adding dimension and texture. Another Boho treatment: printed cotton runner with chenille weave. This Sabira rug has bold white geometric motifs and tassel trims at both base-edges. Yellow pop color of course makes this kind of floor treatment looks so gorgeous. 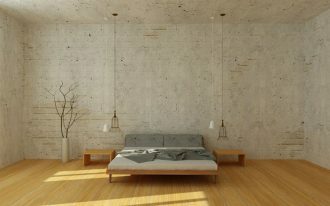 Boho featuring raw rustic – a brilliant idea for showing off natural elements like woods and cotton uses (for fabrics) and wools. The whole design offers huge coziness and warmth especially provided by the fabric cluster (pillows, cushion, and knitted wool blanket). 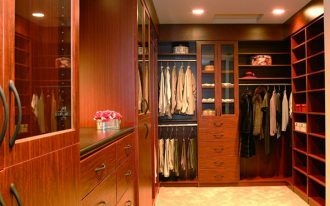 The lighting assistance also brings a big contribution for aesthetic improvement. 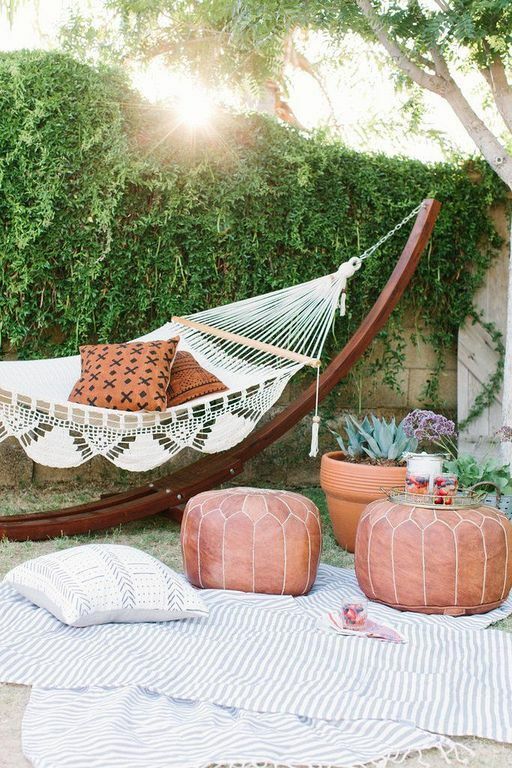 Boho garden idea with poufs and swing furnishings. All furnishings here have typical Boho look that visually add character to this outdoor space. Layered fabric rugs here also provide you a comfy spot to sit and to relax while enjoying the morning breeze with the loved ones. 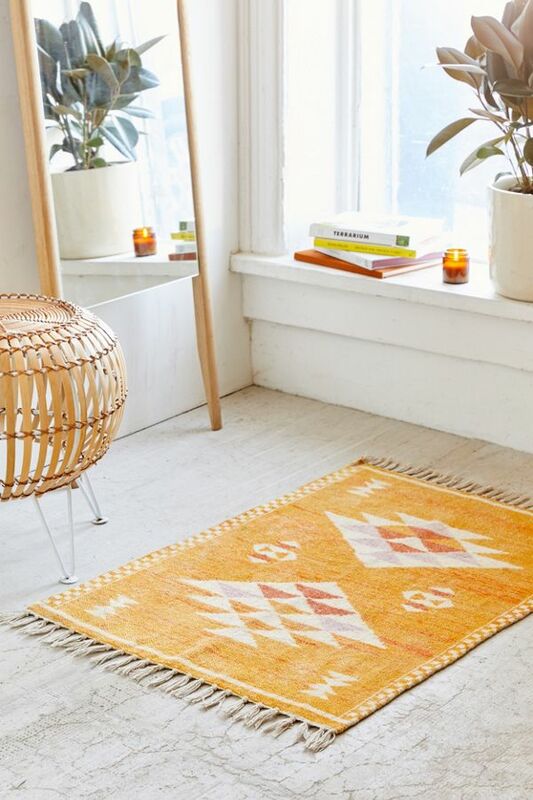 Chic tone; it instantly brings a Boho style to any space. The rug has obvious texture when touched and it could be dynamic based on where you put this charming floor treat. In more details, the rug’s surface is accented with fluffy embroideries that are beautifully made in geometric motifs. Like other Boho rugs, this product has been completed with some fringed trims along the base-edges. 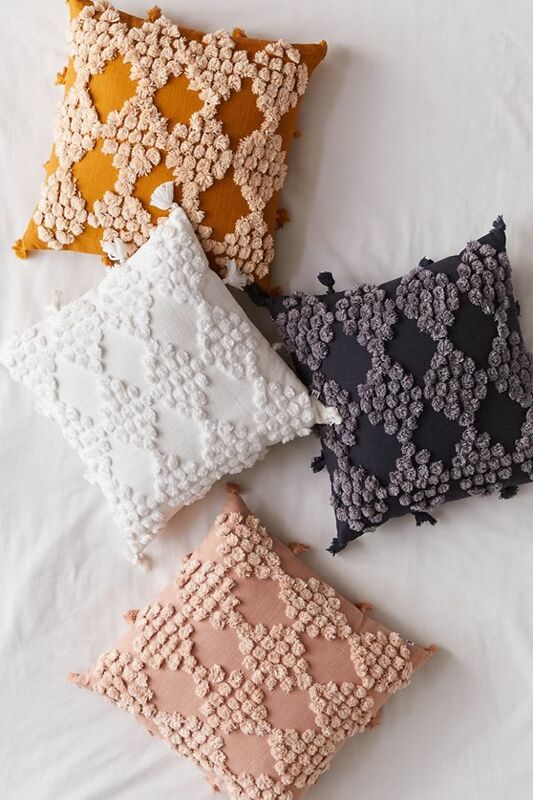 Boho throw pillows for another Boho treat. 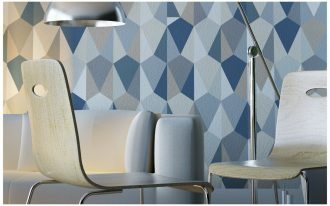 Available in many ranges of colors and accented with soft tufted dots on surface. 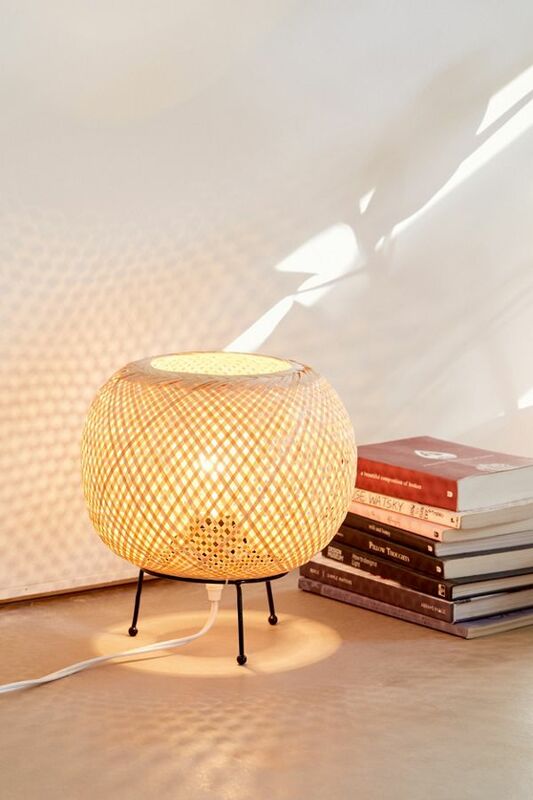 Fill your space with natural tone and this rattan desk lamp sounds great for you. Alina rattan light fixture takes a retro style. 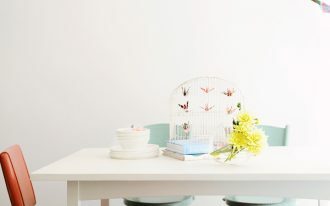 It is supported with tiny but sturdy iron base, while the lampshade is covered with a globe of woven rattan.